Looking for a professional carpet cleaning Crystal Palace Company with certified carpet cleaners in Crystal Palace?? The carpet in your home and office spaces can easily turn from an investment into a potential health hazard. Dirt and debris can become trapped within the fibres of the carpet, making cleaning very difficult. The accumulated dirt also attracts bacteria and other microorganisms that feed on it, and this can negatively affect the cleanliness of your living spaces. 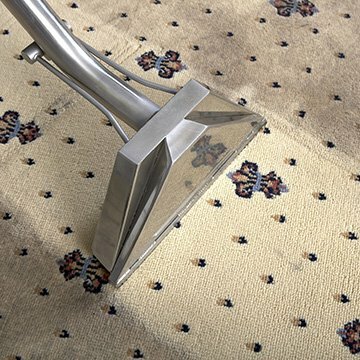 At Carpet Bright UK, we provide full service carpet cleaning in Crystal Palace. 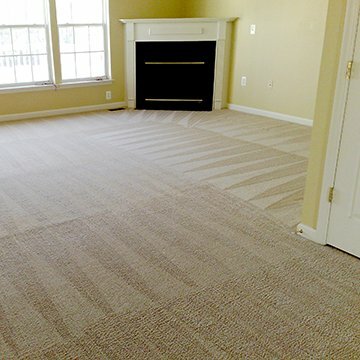 We know that not everyone can spare the time to clean carpets and rugs, especially in commercial properties. The build up of debris and bacteria when this task is neglected can make your carpets, rugs and upholstery a real hazard to health, triggering and exacerbating allergies. Stale, lingering smells certainly do not create the pleasant and professional welcoming environment that your business seeks. Odours and stains can be a particular problem for pet owners, as even the best-loved dogs and cats sometimes make the house that bit dirtier than we would wish it to be. The carpet cleaner Crystal Palace trusts can ensure that your family is safe from hay fever, asthma, and other allergies. Our specialist products are environmentally friendly, child-safe and pet-safe, and also completely remove dustmites from your carpets and rugs - just part of the reason why, when it comes to carpet cleaning, Crystal Palace rates us number one. When it comes to carpet cleaning, Crystal Palace chooses Carpet Bright UK, and we're proud of our reputation as this up-and-coming area's foremost carpet cleaning company. We’re friendly, professional and affordable, working with each client to provide a service tailored to their needs. 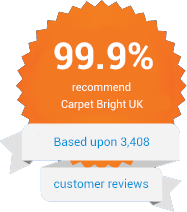 And every Carpet Bright UK clean comes with the promise that you’ll never be offered a service you don’t need. Looking for the best carpet cleaner in Crystal Palace? Call our team at Carpet Bright UK today for a free estimate! Our guaranteed and professional service will solve your dirty carpet and rug problems in no time. The highest quality of carpet cleaning in Crystal Palace. All of our vans carpet cleaning equipment is fully up-to-date. To offer our customers the best carpet cleaning in SE25. We have served over 3,050 happy carpet cleaning customers in Crystal Palace! "Alvin was the nicest most knowledgeable person and did a fantastic job! My rugs and chair look great! He was prompt, professional and very affordable. I plan to use him again in the future as needed. I would recommend this company." "I called Carpet Bright UK at 9AM. They were at my house at 10AM! The service was very professional and courteous and the price was right. I would recommend them to any of my friends for all of their carpet cleaning needs. Great job!" "They were on time, the technician (Alvin) was friendly, and my carpets that had some pretty bad stains from two years of use, look brand new. I recommend."